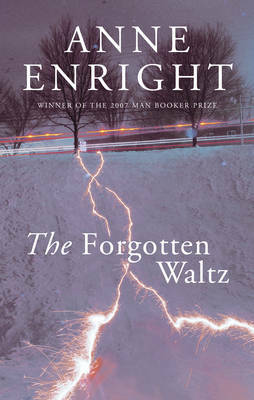 The Forgotten Waltz is a contemporary love story set in 2009 in Dublin. It's also a story of adultery told from the perspective of the 'other' woman, who is also married. This isn't a novel I would ordinarily choose to read, but I was lucky enough to win it in a competition and I think it's good to venture outside my preferred reading circles from time to time. The author writes in the first person through Gina, and it is her experiences we are are sharing. The timeline is loosely structured as her thoughts and memories are interwoven throughout the chapters. "You should never do this with someone - you should never expose yourself to someone like this - unless they have a lot to lose." Both the arrogance and the truth of this statement immediately slapped me in the face. Both Sean and Gina were married, and so both had a lot to lose if their love affair was discovered. However, if one were single and pressured the other to leave their wife/husband, they could wield a lot of power if the other refused. I enjoyed Enright's observations on relationships between lovers, siblings, parents and children and her ability to tease out and expose the insecurities, vulnerabilities and the tender spots we try to shield from others. Having said all of that, it's probably not the kind of book I would actively seek out in the future, but don't mind reading from time to time. It was a bit cheesey and random but I liked it and couldn't put my kindle down, pretty good book! Beautifully written, insightful view of adultery from the POV of the "other woman." The author is especially effective in capturing the emotional and physical characteristics of the child caught up in the affair. But what made the book unforgettable for me was the the exquisite narration by Heather O'Neill. Thanks Marlene, sounds like you listened to the audio book version? Glad you liked it.